Hey! 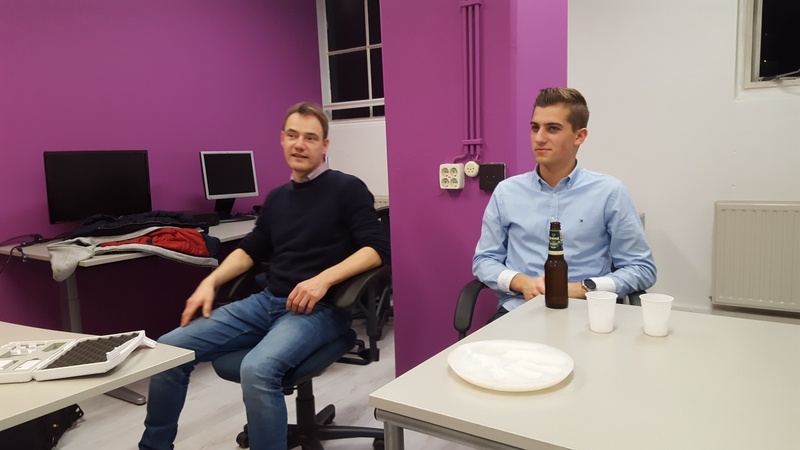 My name is Stef van der Wel and in this blogpost I would like to tell you about my internship at Mentech for the past four months. Let me first introduce myself. I am a software developer from Eindhoven. My major area of expertise is web development and currently I am mastering Java as it is the default programming language here at Mentech. I am very eager to learn and I like being challenged. When I heard the project plan of Mentech, I got very excited and wanted to join the team right away. I got accepted as an intern and was invited to our first “get to know each other”-meeting. There was cold beer and snacks so we had a lot of fun. Erwin (left) and me (right) at the first “get to know each other”-meeting. On the 5th of February, our first real working day started. Our team began to work on the first EmoKit design. In the following months, we made a lot of progress. We were bursting of inspiration, motivation and ideas to create a product that would help people with a mental disability. The Mentech team was growing fast so we had to find a new location for our office. We managed to find a new location on the other side of the hall. 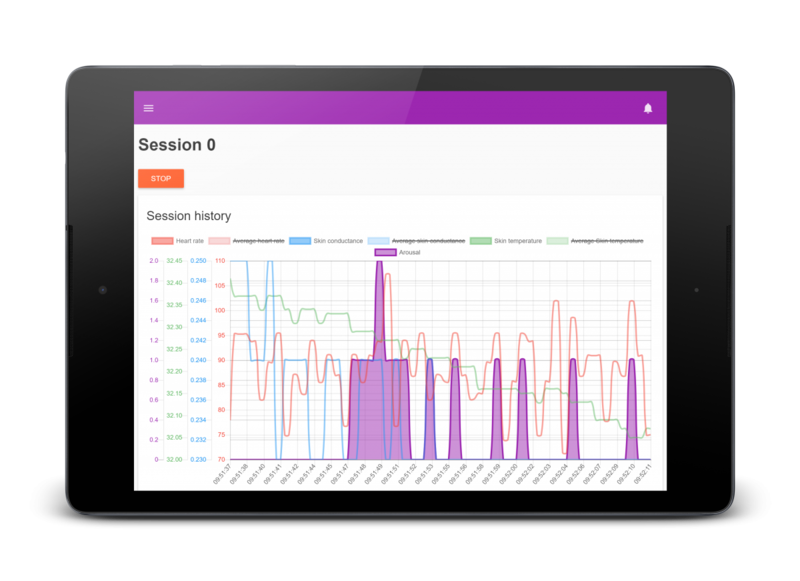 First, we painted the walls with a “Mentech-purple” accent. Then, we moved our furniture and equipment to the new office. Meanwhile, we had a lot of fun and the result is great. 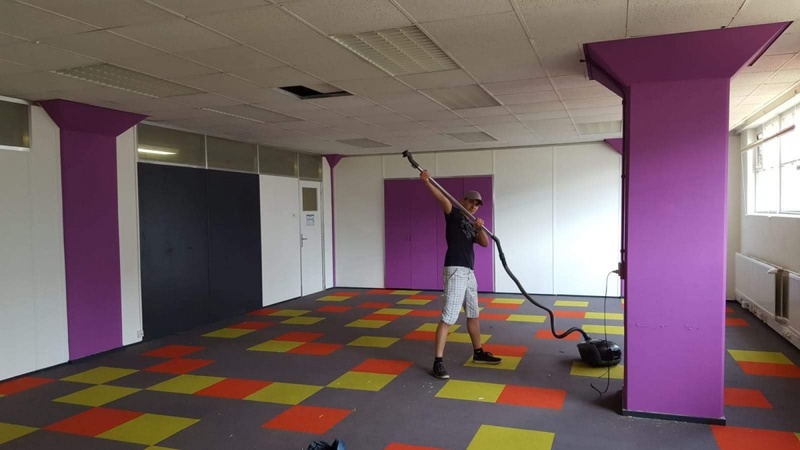 Me, vacuum cleaning the new location after we painted the walls. Tomorrow I will finish my last school assessment. I have to give a presentation about the result I made within my internship. I made the EmotionRadar app/website which is part of the EmoKit. We all think we can be proud of what we have accomplished so far. In the future, I will keep working at Mentech for giving support to the next employee that will work on the EmotionRadar.